It’s a good time to own an eCommerce company. According to Forrester Research, B2C eCommerce sales will reach $414.0 billion in 2018. That’s not even the strongest forecast out there – eMarketer has eCommerce sales at $491.5 billion in 2018, and Statista predicts eCommerce sales will hit $525 billion in 2018, $600 billion in 2019, and $684 billion in 2020. The B2B eCommerce industry is also doing well, with B2B eCommerce sales expected to reach $12 trillion in global sales by 2020. Yes sir, the future of eCommerce looks bright indeed. But growth also burdens your business with new challenges. Consider, for example, how your route planning needs will change if your sales start to soar and you expand into new areas. To serve those new areas, you’ll have to hire more drivers. It takes a while just to do that, as you’ll have to create a proposal, interview the best candidates, train new hires, etc. It’ll take you even more time to figure out how to distribute routes among these new drivers so that they have a fairly balanced workload and make all their deliveries on time. There’s generic route optimization software out there designed to serve many different industries that might help, but this one-size-fits-all approach isn’t ideal for the eCommerce industry and all its little quirks. That’s why Route4Me has developed a new eCommerce plugin – it’s made specifically for growing eCommerce businesses like yours. It’ll automate your eCommerce orders and deliveries, simplify route planning, and increase your profit margin. eCommerce platforms, such as WooCommerce and Shopify, do not have route planning capabilities. You have to move the orders stored on your eCommerce platform to the delivery route planner manually and then plan the routes accordingly. This task eats up a lot of hours, especially if you have a lot of orders to move. Route4Me’s new eCommerce plugin simplifies this process by automating the transfer and route planning of orders. Whenever an order is received, the data is saved in Route4Me, which results in a much faster route planning process. 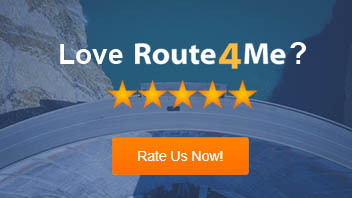 However, you can still manually send orders to Route4Me if you so choose. 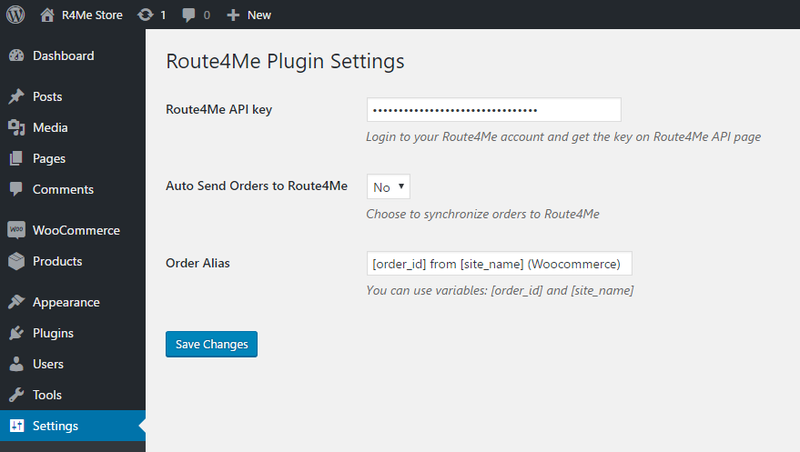 Just select the “No” option in the Route4Me plugin settings, as shown below. Being able to plan routes this quickly is especially helpful for those pesky next-day and same-day orders. When employees process a lot of orders, some errors are bound to happen. Studies show that humans make three to seven errors per hour under normal conditions, and that figure rises to 11 mistakes per hour in stressful situations. Also, according to the Idaho National Laboratory, latent organizational weaknesses include work processes and, as the following graph shows, they are the biggest cause of human error. Why did the error occur? The procedure wasn’t followed. Why? Human error. Why was there human error? The work process needs improvement. When transferring data from one system to another, there are so many moving parts that it’s easy for something to be forgotten or messed up along the way. For example, an employee might key in the wrong address into the route mapping software by mistake. The driver would then be unable to find the destination, which will waste time and infuriate the customer. Your customer service team will have to ask the customer for their correct address (embarrassing, no? ), and the driver will have to drive the route again. So, you can reduce the risk of human error by automating the order integration into the routing optimization software. That’s where our eCommerce plugin comes in. 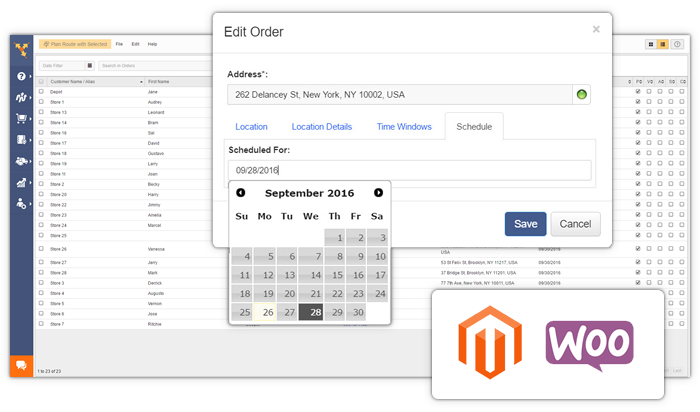 Route4Me’s WooCommerce plugin features a built-in geocoder that allows you to confirm that the address listed for each order is correct. The software will flag any address that doesn’t exist in advance, so you don’t have to worry about your drivers being sent to the wrong place. If you run a busy eCommerce company, moving orders from WooCommerce to a route optimizer and ensuring all the information is correct would require the services of a full-time administrative assistant. For this, you’d be on the hook for a salary, benefits, and other expensive perks. According to PayScale, an administrative assistant make $42,000 annually on average. It might costs you more than that depending on where you live – administrative assistants make $45,000 annually in New York, but $42,000 in Los Angeles. New employees also need training on how to move orders and plan routes, which is time consuming and expensive. And don’t forget about attrition – no matter how well you pay and treat your staff, you never know when an employee might decide to leave your company for another, and then you’re right back to zero, training a fresh new employee after all that time and money you spent training your former employee. The Route4Me plugin automates the training process, so you can focus on growing your business rather than showing new employees the ropes. Our last mile delivery optimization software is currently compatible with three major eCommerce platforms: Big Commerce, Shopify, and WooCommerce. Soon, we’ll be able to support other popular platforms as well, such as Magento, osCommerce, Volusion, and Squarespace. Do you get the same benefits with your current route optimization software? If not, maybe it’s time to switch over… let us know what you think in the comments section below.